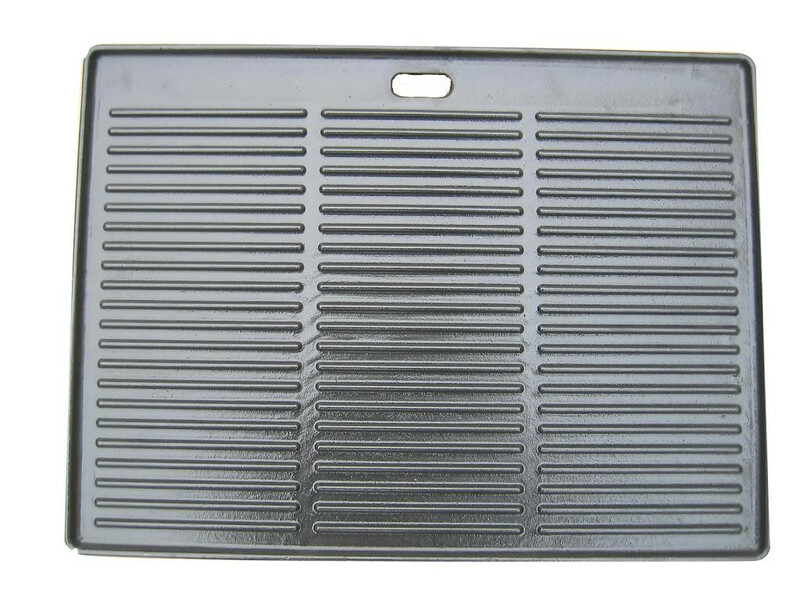 Top quality heavy duty plate - smooth one side and ribbed health grill on the other side. - and the most easily cleaned BBQ plate ever! Important Note: The CG8 cast iron/enamel solid plate is available as an option for BlueTongue ChefMaster-8 barbecues only and is not suited to other brands. If you have not purchased a genuine BlueTongue BBQ please do not order this plate. The plate will replace one of the stainless steel grills in theChefMaster-8.